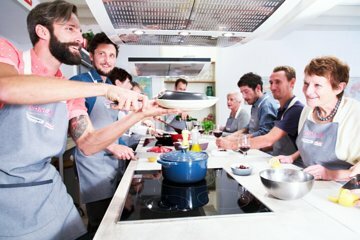 Go in-depth with Spanish cooking during this half-day cooking class in Mallorca. With a professional chef as your guide, you'll learn about the local cuisine and Spain's culinary history while preparing a meal. Complete some easy recipes that you can take home to prepare for your friends and family after your trip. After the meal prep, sit down with your fellow classmates and a nice Spanish wine to dine and chat.